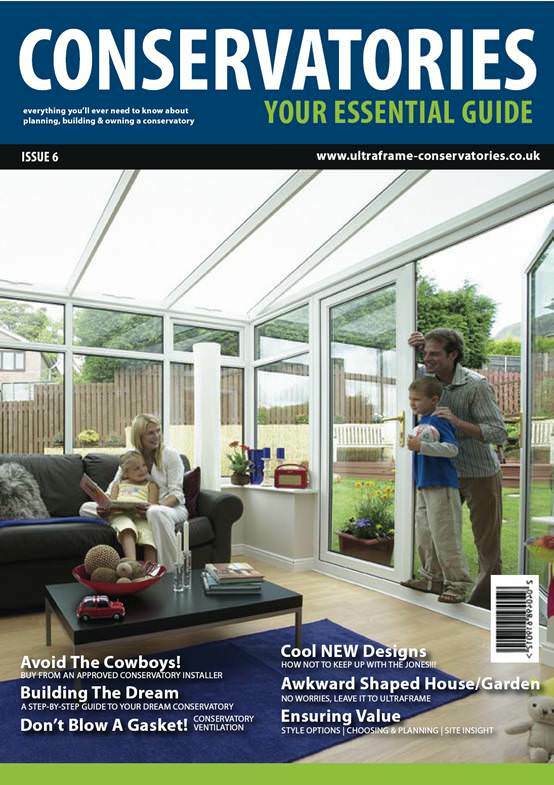 Ultraframe has launched a brand new Ultra Guide to Conservatories to stimulate consumer demand and boost trade. The new glossy guide is the company’s third edition since it’s launch in 2003 and is packed with practical advice and ideas for homeowners looking to choose, design and build a conservatory. It is designed to have the appeal of a lifestyle magazine to inspire consumers and clearly convey the benefits of choosing an Ultraframe conservatory roofing system. Available exclusively to Guild Approved Ultra Installers, the comprehensive guide forms part of Ultraframe’s new range of marketing literature designed to make the installer’s job of selling Ultraframe’s leading conservatory roofing systems even easier. The easy to read guide provides homeowners with a complete insight into the process of buying a conservatory, helping them to choose a design that compliments their home and explaining the unique advantages and options offered by Ultraframe. The Ultra Guide also features Ultraframe’s range of ancillaries and options to personalise a conservatory, both externally and internally, examples of different methods of climate control and advice on planning permission. It contains a full page dedicated to promoting the use of a Guild Approved Ultra Installer to guarantee the highest quality of installation and service. It also advises on how homeowners can find an Ultra Installer in their local area by calling Ultraframe’s consumer call centre or visiting the ‘Find An Installer’ page on their website. The Guide will be an essential part of Ultraframe’s ongoing consumer marketing campaign. It will be widely distributed and profiled within home interest magazines, local newspapers, radio and at specialist events including the Daily Mail Ideal Home show. For Ultra Installers this means increased sales leads and demand for Ultraframe products. A free of charge flyer promoting the Ultra Guide and advising homeowners on how to order their free copy is also available to Ultra Installers and is perfect for leaflet drops, inserts in local newspapers, or hand outs at exhibitions.